Progressive metro style is easily guessed in the layout of this store. Large colored tiles interact with the user on hovering. They bear both icons and text messages, which makes the navigation easy as a child's game. 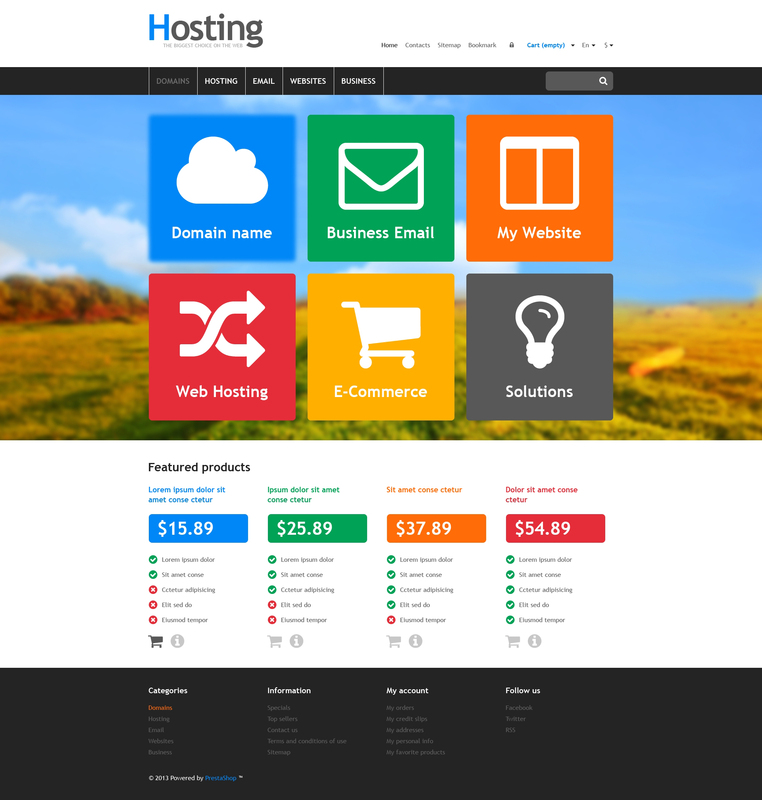 Four hosting plans are presented in the content area. Two functional buttons are places in the bottom of each plan. Footer, containing additional navigation links is colored black like main menu bar.